The Colorado State Fair brings families and fun lovers to the area from around the region, and our Pueblo hotel is proud to accommodate you. Whether youre here for a tournament at the Walking Stick Golf Course or for the Rocky Mountain Nationals street rods event, where you stay matters. Our Pueblo hotel is conveniently located close to everything, so the commute is short and easy. Colorado State Universitys Pueblo campus is also nearby, and we regularly welcome visiting students, faculty and staff for short or long-term stays. If youre here for a semester, depend on us to make you feel at home. Theres plenty of large truck parking, making our Pueblo hotel a favorite for truckers and road trippers. Start each morning with a free hot breakfast including made-to-order omelets by the chef in house. The historic river walk is moments away, perfect after a hearty morning meal. At our pet-friendly hotel, were all about making your trip as pleasant as possible. CSU Pueblo sporting events happen year-round, and our Pueblo hotel staff members are happy to welcome teams and fans alike. Festivals, white water rafting and Lake Pueblo also draw a crowd. Water skiing and fishing are favorite activities in the region, and our spacious rooms make it easy to bring all the gear you need. Were just a short drive to ski areas like Pikes Peak and Royal Gorge, and many ski bums stay with us during the season for access to the best powder. 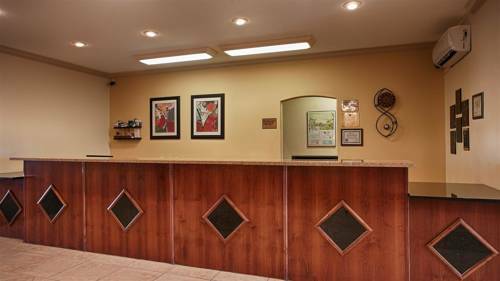 Business travelers to the area also prefer our Pueblo hotel because of our quality, service and value. Employees of Vestas, Excel Energy, Comanche and Pueblo Chemical Depot are some of our regular guests. Youll be ensured peace and quiet so you can take care of business and make some time for leisure activities, too. Luxury bedding, fast commutes and the best service in town are guaranteed. Reserve a room at Best Western Plus Eagleridge Inn & Suites today and get ready for a memorable trip! Enjoy your stay. Cracker Barrel : Adjacent to Cracker Barrel , full service, American, 11:00 a.m. to 10:00 p.m. Village Inn : Across the street from Village Inn , full service, American, 6:00 a.m. to 3:00 a.m.
Texas Roadhouse: .5 mile(s) from Texas Roadhouse, full service, Steakhouse, 11:00 a.m. to 10:00 p.m.
Bellisimo: Across the street from Bellisimo, full service, Italian, 11:00 a.m. to 10:00 p.m.
From: The north. Heading northbound on Interstate 25, take Exit 102, Eagleridge Boulevard. Proceed west one block to Elizabeth and turn right. The Best Western Plus Eagleridge Inn and Suites is on the left. From: The south. Heading southbound on Interstate 25 to Exit 102, Eagleridge Boulevard. Proceed west one block to Elizabeth and turn right. The Best Western Plus Eagleridge Inn and Suites is on the left.